An Egyptian billionaire has become the majority shareholder in Euronews, the France based international news channel. Naguib Sawiris is acquiring 53% of the shares in the channel, in a deal that will see him taking a controlling stake and secures a €35 million in the company. Other shareholders, mostly European public service channels, including France Télévisions and Italy's RAI will see their shareholdings reduced. Reports in the French media suggest that the news channel needed the financial injection in order to fulfil the channel's strategic expansion plans. The last single company to have anywhere close a majority shareholding in Euronews was the UK's ITN, which held 49% of the shares in the channel between 1997 and 2003, during which time the channel became more widely distributed in the UK. 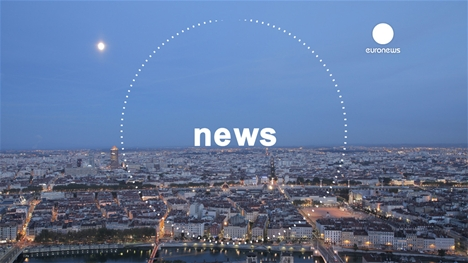 Today, Euronews is available in the UK on Sky, Freesat, connected Freeview (via TVPlayer) and cable, as well as via various internet platforms. RTÉ, a minority shareholder in Euronews, retransmits the channel in the Republic of Ireland during overnight and early morning slots on RTÉ One, RTÉ2 and RTÉ News Now. Just hope it doesn't become yet another news channel dragged into the international information war.